Many investors have large allocations to illiquid assets in PE, real estate, private debt, or infrastructure. And this could become a problem. One of the most recurring themes with investors today is diversification. Many investors have large allocations to illiquid assets in the private equity, real estate, private debt, or infrastructure sectors. Those assets are often classified as alternative - suggesting that investors expect those assets to provide some diversification. But are those assets not sharing the same risk factor - illiquidity premia? And shouldn't we be wary of a premia which has been compressing for the better part of the last ten years? The message here is simple: If diversifying your portfolio is a priority, some of the diversifying strategies should be liquid (page 9-10). Another important aspect is tail behavior, so the diversification at the tail rather than diversification in normal market environments. Any tail risk solutions also need to be capital efficient, and require real conviction that the investment's behavior during extreme market outcomes would actually meet portfolio needs. What's complicating things is that many strategies that can exhibit low correlation to risk assets, but they may not protect during crises (page 18). 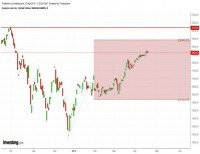 At the same time, investors are not only focused on protecting capital for the sake of smoothing the profile of the returns of their portfolio, but perhaps even more importantly they want to be able to go back and invest in the markets at a time when assets have become more attractive after a pronounced selloff. Any such strategy therefore has to offer monetization capability at the right point of time, which again may be achieved with a liquid structure (page 14).